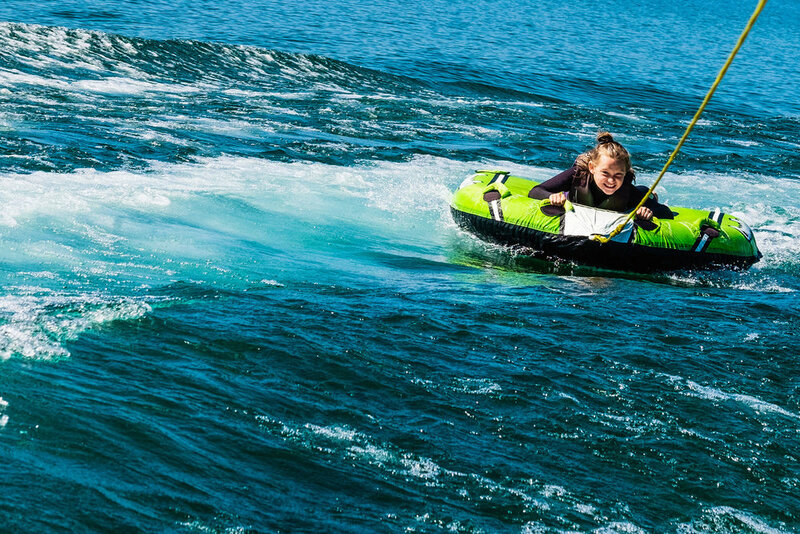 KJ’s Watersports provides everything needed for an amazing and memorable experience on the water. 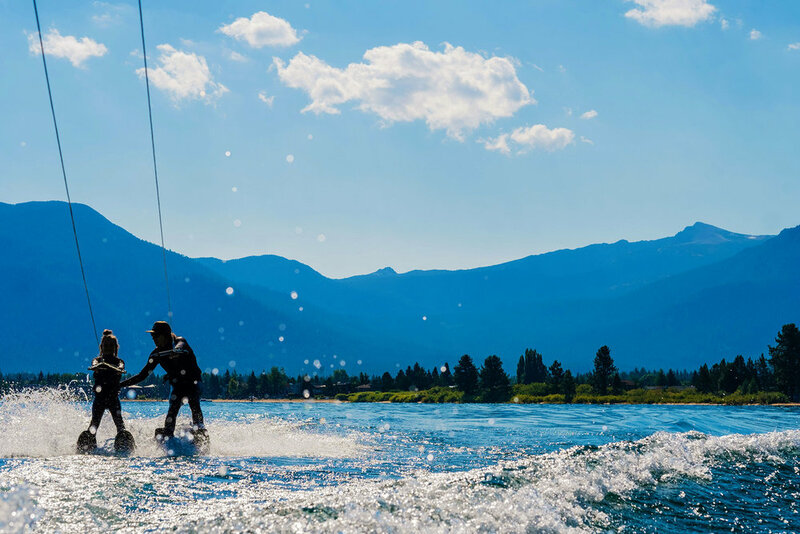 We offer customized wakeski, wakeboard, wakesurf, wakefoiling, and wakeskate lessons for all abilities from first timers to advanced, all while in the setting of your very own private boat. We specialize in providing you with in-water instruction to guarantee the best use of your time while with us, however if you’d like to be in the water solo we are happy to accommodate that too! All our Captains are licensed through the USCG and all instructors are professionally trained with a true passion for sharing high fives and smiles. 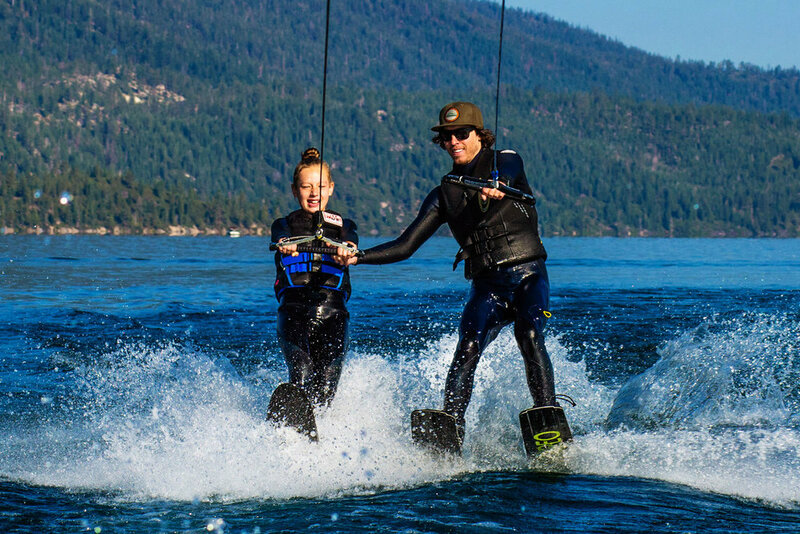 Come jump in the the water with us and experience why KJ’s is the go-to spot for kind, trusted, Lake Tahoe water shredding fun everyone will enjoy! Whether you're a first timer or an experienced rider looking for some fun in the sun, we got you covered.